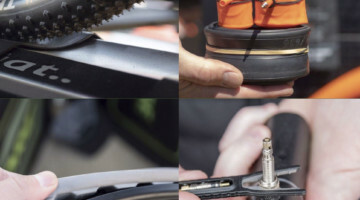 WTB’s new Cross Boss cyclocross tire come in one 35c width and is tubeless ready. 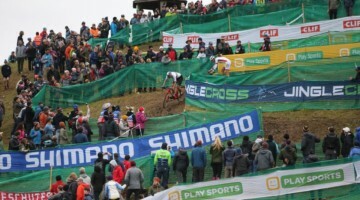 The maximum tire width rule for UCI-sanctioned cyclocross events (as well as USA Cycling Nationals for age-groupers) infuriated many, especially the budget clincher racers hoping to compete with their tubular-dressed peers. The new arbitrary 33mm (and 35mm for age groups at Nationals) maximum widths were essentially seen as a penalty on the big, tall and the poor, the exact racers who need the extra volume to avoid pinching their tubulars or inner tube at low pressure. After a barrage of complaints over the last few years, the UCI has agreed to reconsider the rule and create a new set of standards, albeit via a confusing, somewhat complicated formula. 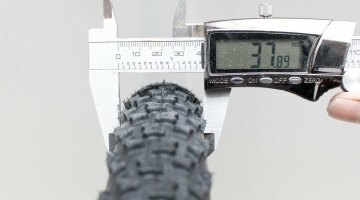 Since the racers who have the most to lose with the narrow tire rule are the Clydesdale set (or even the taller, and therefore heavier, racers like Ryan Trebon), the UCI has announced a set of rules that will be based on racer weight. 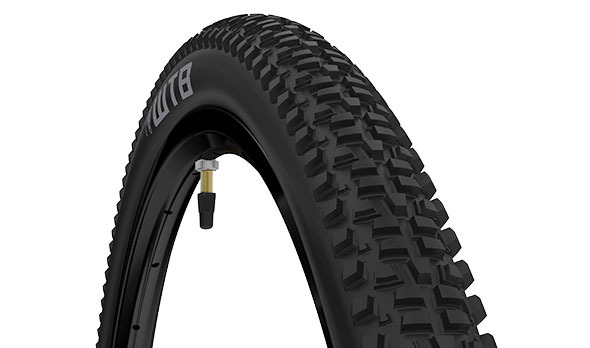 Those of you familiar with the officials checking tire width pre-race should be prepared to step on a scale this race season, but for the bigger racer, now is your chance to break out tires like the 35mm Continental Cyclo X-King. The average racer is 150 pounds, and for him or her, the 33c tire rule will remain in effect. 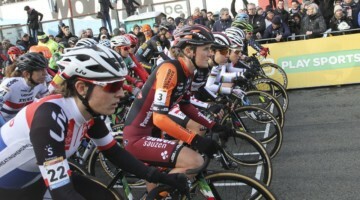 However, it is the lighter and heavier racers who will see changes. 100 pound or lower racers will be forced to hunt down the oft-forgotten 28c tires that were once available. A source at the UCI told us that the goal here was to “level the playing field” for all racers, so that not just the mid-weight riders can benefit from the tire width ordinance. The UCI has also introduced a new ruling on cowbells, read about it here. Note: this story was published on April 1, 2014. 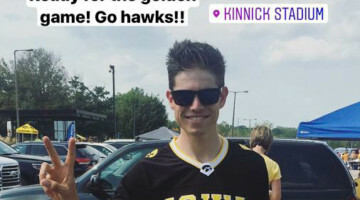 We are not responsible for weight gains due incorrect facts in this article. Cool, I only have to gain 5-7 pounds to continue running my 35s. I think I can get there by upping my beer consumption. I’m bad at math. How much weight do I need to gain before I can run Bud and Lou? Does the UCI have nothing better to do. April 1st is the worst day on the internet. This rule is absolutely asinine. Makes me glad I never enter any sanctioned races. Clicked on the link hoping…One step forward, two steps back. Should’ve just rolled out a 35c limit. Why am I falling for so much today…. Anyone running 40mm tires will have to wear a “wide load” sign, right? Sweet…….I will forever be running 40s! :)) questa è veramente bella! I am 6’4 212lbs and now I can run a 40c to bad my bike will only fit up to a 38c. And next year on April 1, they will introduce different colourschemes per 5 years age bracket. I just realized that it’s April 1st. I got snookered. Ok….. U sucked me in. Damn I was hopeful. I read somewhere that you can always believe everything you read on the internet. Amai, ben ik er dan toch ingetrapt?! Athletic_alg Could be fun, but may want to check the date of that post before showing up to race Elite Men at gpgloucester w/ 42c tires. cyclocross gpgloucester ohhhhh dude, I am not only fat, but lame too! Athletic_alg gpgloucester no, not lame. Just wishful thinking. 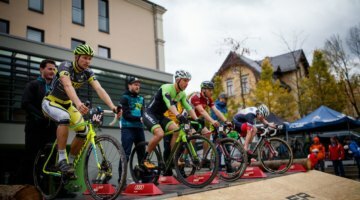 Let UCI_cycling know that you don’t approve of anti-big-boned rules! cyclocross gpgloucester I just hope the T&R commission does not reveal that UCI_cycling killed Kenny – you bastards! MMinSC I took the bait and am laughing at my stupidity. Good one Molly, looks like I owe you a beer. dmsigurdur Check the date on that piece! H_Olli It was a finely crafted trick from April fools day that I didn’t catch on till it was pointed out by MMinSC. WpgCX2014 MMinSC already pointed that out and only cowards retract silly errors on their feeds:) I accept my foolishness. dmsigurdur MMinSC And here I was in full rage mode throwing office furniture around. H_Olli MMinSC That’s how well written it was. Big props to mollyjhurford for creating a lasting joke. dmsigurdur H_Olli MMinSC that will be my legacy there! mollyjhurford H_Olli MMinSC Repost and see how many more fish you catch. The date posted keeps it fresh and it’s season appropriate. RhinoFive So you’re saying my 35’s are the reason for me nailing that dodgy off camber bit? Or was it my impeccable handling ‘skills’? JPS_Dante lobophyllia anyone silly enough to ever put one in the hands of a child would certainly be in favour of banning them…..
JPS_Dante lobophyllia I used to think our cats were a massive pain in the arse until we had children to compare them to! RhinoFive JPS_Dante ah yes. Children…. timjohnsoncx I love riding on balloon tires! Time to hit the recovery shakes. 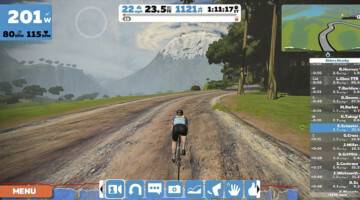 timjohnsoncx – does that mean I can run 45mm tires? 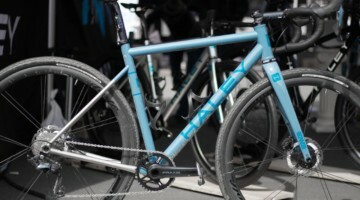 Are disc brakes ok in CX where people actually throw their bikes in people’s faces?